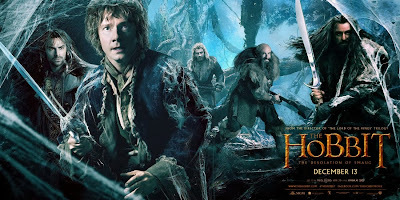 A couple of days ago Peter Jackson announced The Hobbit: The Desolation of Smaug Fan Event. On November 4th, across the globe, fans will get a sneak peak of additional footage of the upcoming movies and even see saw of the stars of the film at their local venue in a Q&A being broadcast via satellite to the many locations. In New York City, Anderson Cooper will be there live as the host of the whole event with Richard Armitage, who plays dwarf Thorin Oakenshield, and Orlando Bloom, who plays Legolas there with him. If you're in Los Angeles, you'll get to see Evangeline Lilly live, and in London, Luke Evans, Lee Pace and Andy Serkis. Out in New Zealand is Director Peter Jackson. Other cities participating in the fan event but without any live appearances include: Brussels, Hamburg, Madrid, Mexico City, Miami, Paris, Rome, Sydney and Toronto. The event will also be streamed live online on YouTube. Good luck, and if you're one of the lucky ones to win tickets, feel free to invite me!